So if you’ve ever been or had a child you will likely already be familiar with hand stencils. They were the first figurative art made by both our kids somewhere between the ages of two and three. My children spread the fingers of one hand out across a piece of paper and then with the help of a parent traced their five fingers. I remember my son’s face as he lifted his hand and looked absolutely shocked to see the shape of his hand still on the paper, a semi-permanent record of himself. I am extremely happy that my children are no longer three and yet to look at their little hands from those earlier artworks is to be inundated with a strange soul-splitting joy. Those pictures remind me that they are not just growing up but also growing away from me, running toward their own lives. But of course that’s meaning I am applying to their hand stencils and that complicated relationship between art and its viewers is never more fraught than when we are looking deeply into the past. There are many mysteries at Lascaux. Why, for instance, are there no paintings of reindeer, which we know where the primary source of food for the Paleolithic humans. Why were they so much more focused on painting animals than painting human forms? Why are certain areas of the caves filled with images including pictures on the ceiling that required the building of scaffolding to create? Were the painting spiritual? “Here are sacred animals.” Or, “Here is a practical guide to some of the animals that might kill you.” Aside from the animals, there are nearly a thousand abstract signs and shapes we cannot interpret and also several negative hand stencils, as they are known by art historians. These are the paintings that most interest me. They were created by pressing one hand with fingers splayed against the wall of the cave and then blowing pigment, leaving the area around the hand painted. Similar hand stencils have been found in caves around the world from Indonesia to Spain to Australia to the Americas to Africa. We have found these memories of hands from fifteen or thirty or even forty thousand years ago. These hand stencils remind us of how different life was in the distant past. Amputations, likely from frostbite, are common in Europe, and so you often see negative hand stencils with three or four fingers. But they also remind us that the past (artists) were as human as we are, their hands indistinguishable from ours. Every healthy person would have had to contribute to the acquisition of food and water, and yet somehow they still made time to create art almost as if art isn’t optional for humans It’s fascinating and a little strange but so many Paleolithic humans who couldn’t possibly have had any contact with each other created the same paintings the same way–art that we are still making. 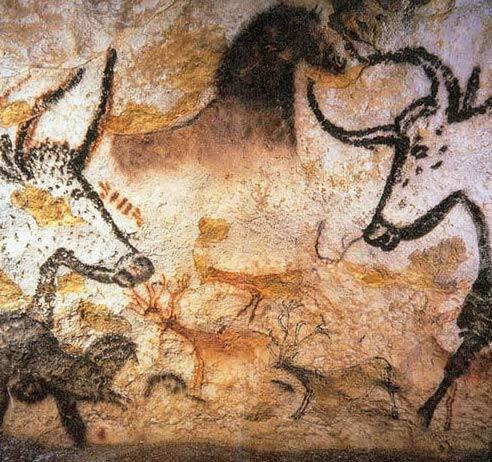 But then again what the Lascaux art means to me is likely very different from what it meant to the people who made it. I have to confess that even though I am a jaded and cynical semi-professional reviewer of human activity, I actually find it overwhelmingly hopeful that four teenagers and a dog named Robot would discover 17,000-year-old hand prints. That the cave was so overwhelmingly beautiful that two of those teenagers devoted themselves to its protection, and that when we humans became a danger to that cave’s beauty, we agreed to stop going. Lascaux is there. You cannot visit. You can go to the fake cave we built and see nearly identical hand stencils but you will know this is not the thing itself but a shadow of it. This is a handprint but not a hand. This is a memory that you cannot return to. All of which makes the cave very much like the past it represents. My parents, Gene and Rita Dorsey, from happier times. I’ve been a blogger manqué for much of the summer mostly because I’ve been immersed in trying to finish the three paintings I’ve already written about—and I am on pace to get them done on time. But I’ve also been busy with my two other occupations—writing to earn money and taking care of my elderly parents. It feels odd to call my parents elderly when I, myself, will in short order be able to qualify for that demographic. Maybe sixty is the new forty, but I have a feeling that the milestones to come will cast a darker shadow on a narrowing path. Time feels as if it’s getting shorter by the day, which means I need to work harder to stay ahead of the clock, but I’m finding that the painting life is giving me lessons about my larger life as a human being, not just a painter, despite myself. The need to pay attention has become the central imperative of my life, in almost all activities. 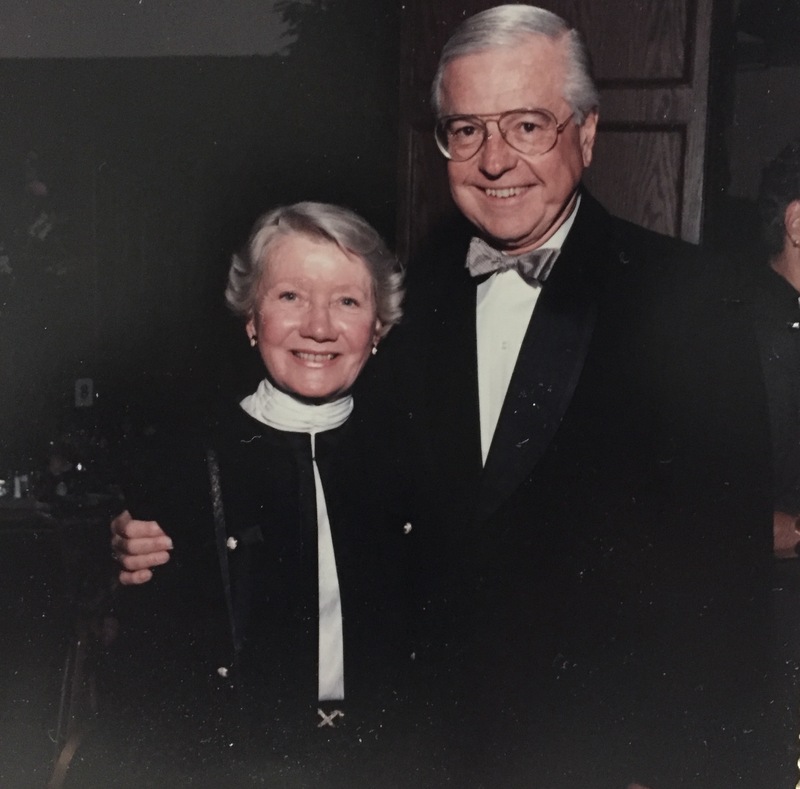 Writing still comes naturally, and I can do what I need to do—with the exception of contributing to this blog over the summer, clearly—but caring for my parents has become both a bigger challenge and a deeper reward. I find, repeatedly, that I’m choosing to see myself as a son, rather than a painter, on a daily basis for varying lengths of time. And I’m discovering that, as laborious and discouraging as it can be, I’m adapting to it. I’m changing in a way similar to what happened to me when I became a father, when I found myself willing to do almost anything to care for my kids, without resentment or complaint—no matter how it robbed me of my autonomy and personal time. My brother, Phil, and I share the responsibilities of enabling my parents to continue to live independently in their condo in Penfield, NY, a twenty-minute drive from my home. My father lives most of his life now at a few points on the tiny map of his primarily domestic world: bedroom, bathroom, dining room, deck and TV room. He’s able, just barely, to shift his body from bed to scooter and thence to the bathroom, the living area, or the deck outside. His infirmities derive from stenosis, peripheral neuropathy, a brief TIA from which he partially recovered, pulmonary issues, and increasing effects of dementia—he is the same person as he always was, but greatly diminished, hemmed in, caged by his body and brain, though his sense of humor remains intact as do his gratitude and kindness. However, more and more his despair over his condition sparks bouts of anger or snarky critiques of those around him. Inevitably, whenever we are together I gaze directly at the future, my future and everyone’s future, and it has the effect of stripping away most of the layers of denial that all of us wrap around ourselves like comforters on a cold night. Old age and death watch me, as I watch them. We’re all dying slowly or quickly, and when you see that, what matters most in life is giving as much care to one another as possible. Occasionally, the demands of my father’s predicament test my equanimity, but most of the time I just surrender and do what both of them need and what my brother, Phil, is unavailable to do. You are currently browsing the represent weblog archives for the month August, 2018.